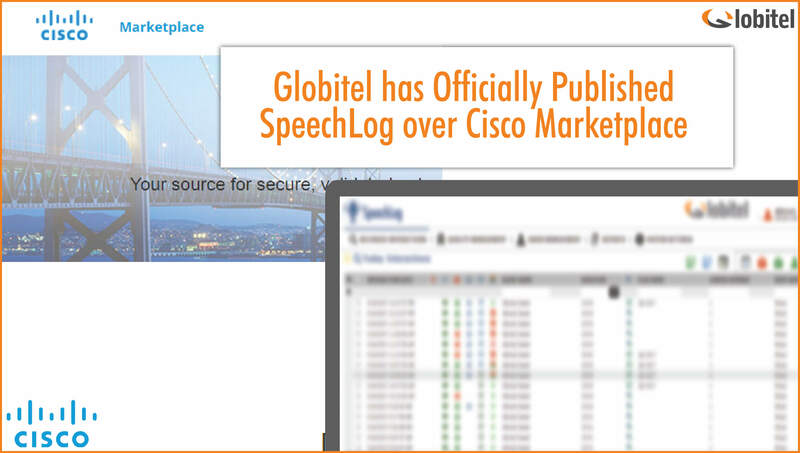 Amman, Jordan (March, 2019) – Globitel announces that it has successfully published its product SpeechLog over Cisco Marketplace. This achievement earns Globitel the Cisco Compatible logo which is used to signify that SpeechLog has undergone technical interoperability testing. The results of the test were a success. The testing is based on several criteria determined by Cisco which Globitel’s SpeechLog has fulfilled thanks to the due diligence of the team at Globitel which was responsible for obtaining the thumbs up from Cisco. SpeechLog is now firmly placed in the Cisco Marketplace website and is available for Cisco customers. Globitel, founded in 1996, offers a wide range of telecom solutions in more than 45 countries throughout the world. Globitel covers the Gulf, Levant, Africa, Asia Pacific, and Eastern Europe. Globitel’s portfolio consists of Roaming and Mobility solutions for telecom companies as well as Customer Engagement Optimization and Workforce Optimization solutions for call centers.